All services we offer can now be handled through our online patent law firm. Our clients often find us to be more accessible online and by phone to answer their questions, than if they had to visit us at an office. We can even be available outside of normal business hours by appointment. Click here to find out if we are currently accepting new clients. Want to meet in person with a patent attorney? In the past, you may have had to sit down and meet face-to-face with an attorney to discuss the specifics of your particular matter. Trenner Law Firm recognized early on that this was an outdated model, and began to adopt technology that allowed more flexibility than the traditional brick-and-mortar law firm. The past 10 years has seen technology advance by leaps and bounds. And Trenner Law has been on the cutting edge – testing new technologies as these became available – eliminating those that did not meet our strict expectations – and implementing those that provided our clients with efficient and cost-effective service. What does this mean if you are still trying to decide which attorney to hire? 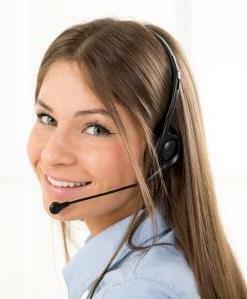 Any questions you may have about the services we offer can be readily answered with a phone call. Want to see that I’m an actual person? Ask about our new video conferencing option. Meetings are only available on a limited basis to established clients of the law firm. Meetings are by appointment only. Please call 720-221-3708 for current availability. * Appointment required – No walk-ins or drop-in meetings. Office space and conference rooms are reserved on an as-needed basis through Office Evolution. Trenner Law Firm does not maintain a staffed office at any of these locations. Trenner Law Firm is a virtual law firm and its attorney and staff work at private offices.